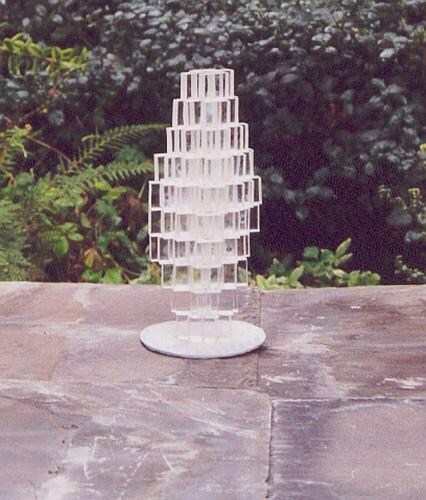 Urn is a proposed sculpture commission and the image shown is a model made is Perspex blocks. The actual work would be an assemblage of architectural glass blocks secured and sealed with silicone sealant, in the form of a large vessel or encased body form. A subtle twist through the construction of Urn will add to the fluctuation of light density and colour tone from different views.